If you’re situated in Sydney and in need of new quality tyres for your car, you’re in luck! Road Runner has an extensive range of car and 4x4 tyres in Sydney that are suited for your driving needs! Feel free to browse our site and find your choice of tyres from the world’s leading brands. Our team is available 7 days a week. We can deliver, install and fit your tyres wherever you may be. There is no need for you to travel far. Whether you’re at home or stuck in the office, we can come to you. You can save an incredible amount of time when you contact us for mobile tyre fitting service. You won’t have to spend hours waiting at another service shop during your lunch break or on the weekend. It also means that, if you’re at home or at work, you can get on with whatever you need to do, while our highly professional mechanics get on with the job! There’s no need to worry about your tyres because we’ve got you covered. If you’re after 4x4 and other types of car tyres in Sydney, we’re definitely the company to call. We stock and fit a range of premium brands, from Goodyear to Michelin to Pirelli, which we can match to your car and budget. If you have another brand in mind that you can’t find here, it’s no problem at all. Just tell us and we’ll do our best to source it for you, and have them fitted to your car quick and easy. Buy tyres from the trusted name in the business today. Whether you’re looking to buy car and 4x4 tyres in Sydney or in need of puncture repair service, you can count on us. Our mobile pit crew are always ready and able to cater to all your needs, and will get you back on the road in next to no time. Find out more about our team here, and if you have any questions, simply fill out our contact form and we’ll get back to you as soon as we can. 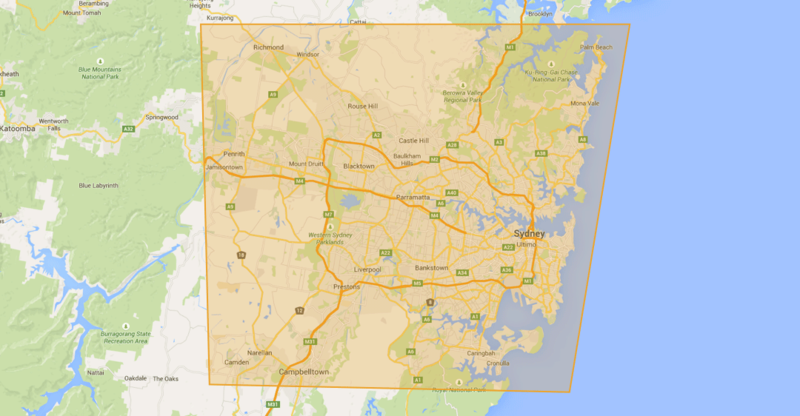 We look forward to working with you Sydney siders! Couldn’t be happier – service and rep (Lindsay) top class and will certainly recommend your organisation to all. Great professional service..on time every time and extremely competitive on price. Why go anywhere else when the Road Runner Mobile Tyres team can come to you ? Best service I’ve had in a long, long time. Great job guys!!! Thank you for going beyond the call of duty ! Impeccable, professional service. I’ll recommend you to anyone. Thank you for the wonderful, stress free service I received yesterday. It was such a welcome change being able to remain at work whilst my tyre was getting changed. It is a huge benefit not having to wait around in a tyre repair centre wasting time. Thank you very much and I will be recommending this service to all my friends. I would like to commend you on your service. It was a quick response to my email & also to have a repairer out here within 3 hours. Brendan was very friendly and did a good job. So thank you to you and your team for making the whole process easy and pleasurable. I would definitely recommend you to my family and friends. You guys are awesome ! Thanks for squeezing me in at the last minute and charging way less then the other places!! My husband and I will be a regular customer from now on! Thank you to Steve and Brendan for coming to the rescue today with two new tyres – one replacement one spare. I had got myself into a dodgy situation with no spare and a flat and ancient tyre on the front left wheel after having a flat tyre a week ago and no time to go and buy a spare. Brendan arrived within 30 minutes and had two new tyres in place 30 minutes after that. This is Sunday when no tyre dealerships are open and I have trips to make this afternoon, so I am really appreciative of this service. Thanks again. Would like to thank your team for coming to my rescue on Sunday. I was passing through Sydney with a tyre that started to de-laminate. I was met at the agreed location, on time and was back on my way an hour later. Couldn’t be happier. Excellent service. Fantastic company, very affordable and great reliable service. What a fantastic professional service!! I just wanted to thank both John in the office and Lindsay who came out to help today. You both went above and beyond and I really can’t thank you enough. It was a wonderful surprise to get back to my car and find the jelly beans and a card letting me know of the charity’s you support. I will highly recommend your company to everyone and will be using you to get my new tyres. Thanks again guys you both rock. Many thanks for the fantastic service today. We have four cars – you will be our first call for all of them. Thank you again for helping us out of a difficult situation. I am grateful. What a brilliant organisation – on a beautiful Sunday afternoon a delightful young man arrives to fix my daughter’s problem after she had hit a roo on the way to Sydney. Without them I don’t know what she would have done. You should all keep their number in your speed dial, you never know when you’ll need it. Thank you guys I’m very happy with the service. I’m all ready recommending you to my friends. Another bloody nail in my new tyres !!! Big Thank-you to at John at Road Runner who went out of his way to help out the family today. You are amazing and a credit to your organisation. Thanks also to the Tech who worked for hours. Hi guys! Just wanted to say thanks for the awesome service Darren (from Sydney Office) provided recently for me. I was about to head off on a 1200km round trip and needed 4 new tyres he was fast, thorough, and very competitively priced! I’m extremely impressed no hassle service and great prices. I’ll never go to a tire shop again. Spreading the word on social media now! Thanks to Scott for coming out at a perfect time, doing a perfect job and being friendly and courteous. I would like to say a big thank you to Steve and Eddie for making my Monday morning drama so straightforward and simple. Steve was lovely over the phone and great I was given an appointment time rather than a range like so many other companies do and you have to wait. When in a real pickle this morning with two flat tyres, Charbel came to the rescue ! Such fast reliable service – thankfully back on the road again ! Just wanted to say thank you for a great service. With 2 kids its difficult to find the time to get to the garage. You guys were competitively priced, on time, professional and didn’t mind the barrage of questions from my kids who were also amused for an hour watching the car have its tyres changed! You even have jelly beans to give out afterwards great touches, will be using you again! Just want to let you know how professional, polite and efficient your company is. Will recommend you for sure. Many thanks for the fab service today – so easy that it happened at home and at a suitable time !! Thank you so much for your exceptional service and assistance yesterday – Mickey is a delight ! Thank you for your help & providing a good professional service. I just wanted to say thanks for the excellent service – young Luke sorted out our nail puncture, swapped over the spare and packed it all away neatly in the boot – all without me asking. All done with a smile on Sunday. You’ve saved me several hours that I was going to find hard to fit in this week. With thanks – I will use you again. Thank you so much for the fantastic service, Todd turned up just before the agreed time and rang to confirm. The 2 rear tyres were fitted in no time and also all tyres checked for pressure and cleaned the wheels. WOW. Todd also checked the tyre pressure on my wife’s car, great service.Love the business card and the jelly beans, I would be happy to recommend Road Runner Mobile Tyres. Just wanted to say thanks for the amazing service today. I am 8 months pregnant and had an 18 month old with me when our tyre shredded on the highway. Your prompt service meant the world to me and we got home safely, will be telling all our family and friends about your business. Thank you for your professional service. I will be passing your name on. I just wanted to say that I was very impressed with the service I received today by your team and in particular Bobby-very helpful, friendly, efficient and a good price. It was such an easy process. I will definitely recommend you guys to friends and family. Thanks again!! Thanks for the service today. Absolutely sensational. Already a number of work place people have expressed their probable use in this service when the time comes to replacement/repairs etc. Great service from Daniel. Very polite, very thorough and even offered to drive me back to work. Brilliant. Just to let you know that I was very happy with the service that John gave me yesterday. I will certainly recommend the service to my friends and work colleagues. The tyres were fitted today and the technician was fantastic. Many of our gym members noticed the service and commented positively. I will be scheduling for replacement of 4 tyres for the other car in about 4 weeks time. Very happy with the guy who came….first class……. Thanks so much – very impressive service. Thank you all so much for this service. The client was very happy with your service and commented you were very professional, on time, polite and informative. We look forward to using your company again in the future. Great service thank you so much !!!! I just wanted to say a big thank you for a terrific service. I was very unwell and not able to take my car anywhere to have the tyre replaced. The service Road Runner Mobile Tyres provided was professional and thorough. I was also very impressed at the speed in which someone attended my premises. Thank you so very much and rest assured I will be recommending your service. Thanks guys for such professional service. My wife found out she had a puncture, when you guys came out – you reviewed the tyre and showed me that we had run it flat too much and worn out the tyrewall, and it was recommended to be replaced. The replacement was prompt and it was done – thanks for getting me back on the road without fuss and with confidence again. Thank you for your wonderful service – very pleased. Hi Guys, just a quick thank you for your quality service, i had some tyres fitted by your Brisbane branch today and could not be happier, great service from all involved from being contacted as to when the job would be done by the office staff to when the tyre fitter arrived before the scheduled time and called me to make sure of what i wanted, and going that extra mile. Great job. Scott for employee of the month. Big thanks to the team from Road Runner. Their sales team gave great advice on what tyres would suit my XR6, their technician came out and fitted new tyres during my lunch break, and after the wheel alignment my car drives like new! No more struggling with the steering! Big thanks to Todd for all the hard work! Highly recommend! This was courteous, efficient service. Thank you very much. With school holidays imminent and an 8 hour trip to the country, I realised I had no time to shop around for new tyres after having been told the four we had were bald! The dedicated and professional team at Road Runner Mobile Tyres had me sorted with new shiny wheels, all at home within just under an hour- awesome!! I was very impressed with their service and state of the art equipment – I would highly recommend these guys to everyone – thanks again!! Trip was also very smooth. Very impressive service, thanks very much ! Techician was fantastic went out of his way and above and beyond his duties to help me get back on the road. Extremely pleased with the service. The jelly beans as a parting gift were a great touch. John who answered the phone was very helpful. A great service at a great price! 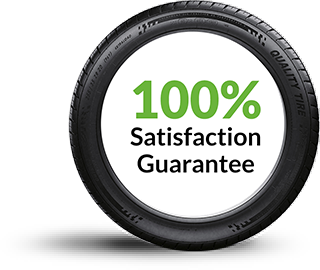 If you want super service, competitive price and access to quality range of tyres then Road Runner should be your choice. And what’s more, they come to you when you want it. No more finding an hour to slip out of work or be late for work. Your workday is not interrupted. They come to you. Don’t take my word. Try them now. John, I just wanted to drop a quick note to say thank you for the outstanding service both yourself and Scott provided either this week. You went above and beyond standard service requirements contacting VW for the specific part, and all your help was very much appreciated. Just had my girls mini spruced up with some new tyres. You guys are so efficient and easy. Road Runner ROCKS! I just wanted to express my gratitude for the service, especially John who helped me organize new tyre and Todd that came and helped me. The helpfulness and professionalism plus great manner really made my day and Todd also gave me a jump start after he changed the tire and helped me move so that I could get back on the road safely in a timely manner. Needless to say I will recommend you guys to anyone I know. Thanks again, great service! Just wanted to say very happy with the service provided today. I love the idea of tyres being changed at my home rather than waiting at a tyre shop. Thankyou! Suddenly discovering you need new tyres is always a pain, but you sorted everything out quickly, efficiently and without me having to leave the office. What a great find! You deserve to do well. Love your work. Hi, Just wanted to say how impressed I was with the service. Steve and the team went out of their way to ensure our problem was solved within the day, in a way that worked best for us. It was an excellent experience. Thanks again, Joe. Thanks very much for your excellent service, and the technician was very professional and helpful. I found your service fantastic, and appreciated your preparedness to come out on a sat afternoon. At least it got me going for the weekend. I contacted some other tyre places first as well as another mobile service and all couldn’t help me. I appreciated your helpful and re-assuring manner on the phone and your speedy arrival not long after. James who fixed the tyre was tremendous, professional manner and a pleasant communicator. So thanks to your company for coming to the rescue! I hopefully won’t need you again, but if the need arises I’ll certainly look you up! Regards Peter. Hi Steve. Road Runner Mobile Tyre service saved us a lot of time and is definitely the way to go for busy people like us. The Road Runner Team was friendly, efficient and gave us expert advice on tyre care. I got greater satisfaction from your service compared to my car manufacturer’s repair centre (I won’t be going back to them again). I’ll definitely spread the word amongst my family and friends. Just used them for the first time. Fabulous service and great value! How amazing for you guys to go to st Ives last night in the pouring rain to change two flat tyres. Amazing job under difficult conditions. Very happy thank you. In the middle of a hectic house move and well overdue, I needed to replace all 4 tyres on my car. All I can say is “thank heavens” for Road Runner Mobile Tyres. The last thing I needed was to take 3 kids to a tyre place and wait around and “find” something to do. Road Runner came to my home and while I continued packing they changed, balanced and aligned all 4 tyres. The service was impeccable and Steve worked really hard to be competitive. I was delighted with the service and would recommend them to anyone who wants hassle free tyre service. Thanks a million, Stephanie.